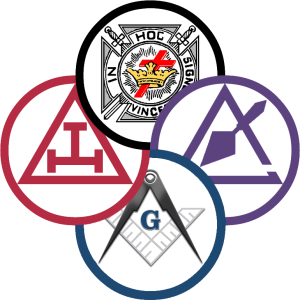 The Grand Commandery Knights Templar of Michigan | Happy New Year to all! Happy New Year to all! Was 2014 exciting and a prosperous one for you? Well 2015 is here and many resolutions have been made and some to be kept! Let us start with; visitations to commanderies we have not visited regularly, provide interesting programs for our members and ladies, and pick up a member in need of a ride to our conclaves. Increase our membership by presenting a petition for the York Rite at each Chapter Convocation, Council Assembly and Commandery Conclave next year. This will do several things, like replace yourself; give someone for you to mentor and an opportunity to continue our work of more knighting’s of Christian Knights. These are not just resolutions or challenges but work that needs our personal attention. Sir Knights we have completed our inspections and knighted many excited and willing knights let us now educate, mentor and make productive knights. We may have to learn more to be able to teach and mentor others. There is more outside the ritual. Sir Knights there is more than reading and listening to minutes and paying bills. Think out of the asylum and to our armories. How clean and “Good Smelling” are they, costume’s in good repair, including sandals, do we have robes that fit well, do the wheels on the triangle roll and turn, is the silver clean, wax on the triangle cover unsightly, the kneelers comfortable? These are what the new knights see and experience. Does he relate these to a good, well run commandery? Working on these things is better than “business”. I mention all the above not to embarrass or put down any commandery but to provide a reason for action. Like I said last August, “Get it done, just do it”. Let us reflect on what caused us to be a knight and let that be the revitalization of our Commanderies.